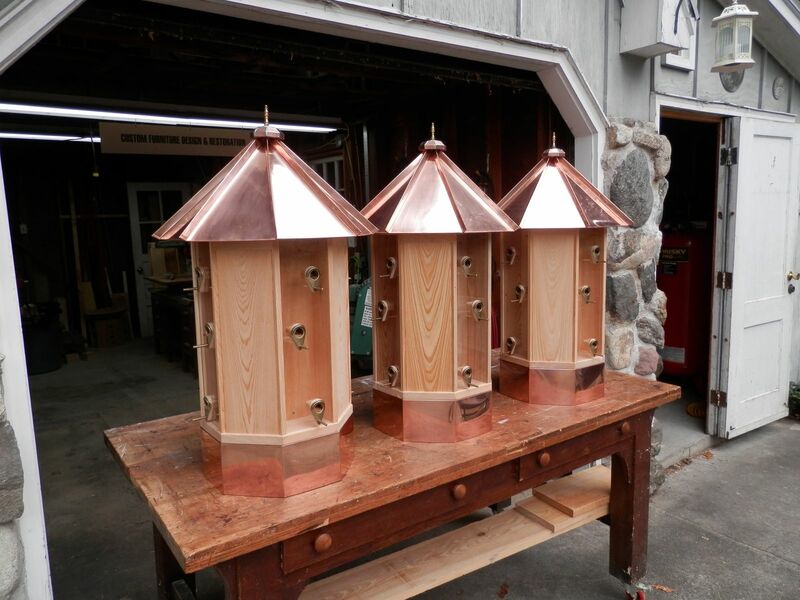 These feeders are a result of an existing design provided by the homeowner; just needed someone to build them. The design is very unique from other birdfeeders. The roof is permanently attached to the top of a hollow square post. 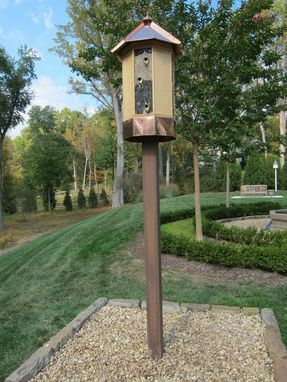 The feeder body is held secure to the underside of the roof by counter weights located inside the post and attached to the top of the feeder body by means of pulleys and cables. 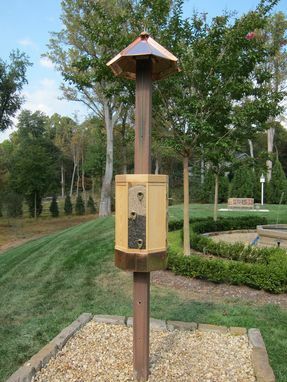 Since the feeder straddles the post, it can be easily lowered to add seed. There are four feeding chambers with 3 perches per chamber, mounted on a plexiglass panel for easy feed viewing. In addition, the clear panel is set in grooves, so they can be lifted and removed for cleaning. The feeder body is made from cypress, impervious to rot and insects, requires no maintenance and will weather to a silvery gray. The sub roof is exterior-grade doug fir ply and covered with copper. A roof cap and finial complete the waterproof roof design. On the bottom of the feeder is a 5" copper "critter" guard to keep the undesirables at bay.